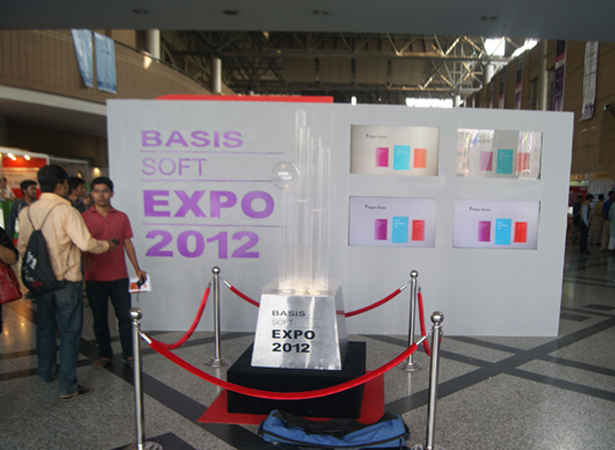 Participants from 10 countries are attending this exposition. 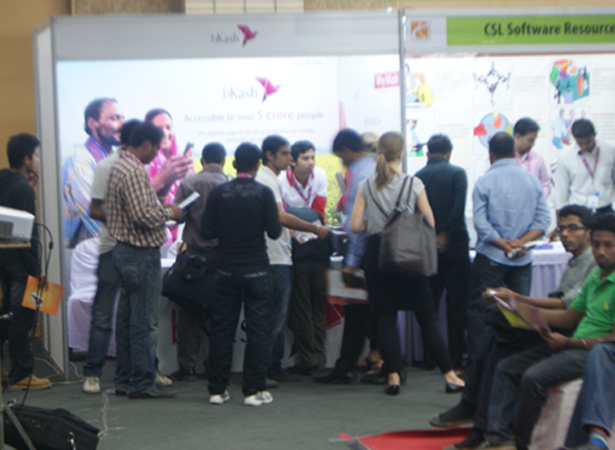 The 5-day fair consists of over 80 seminars and sessions, IT Job Fair, IT Innovation Search Program, Code Warriors’ Challenge for Programmers, Best IT Use Award, “BASIS Freelancer of the Year” Award as well as Live Events like the Idea and Innovation Platform and Inspiration Platform. 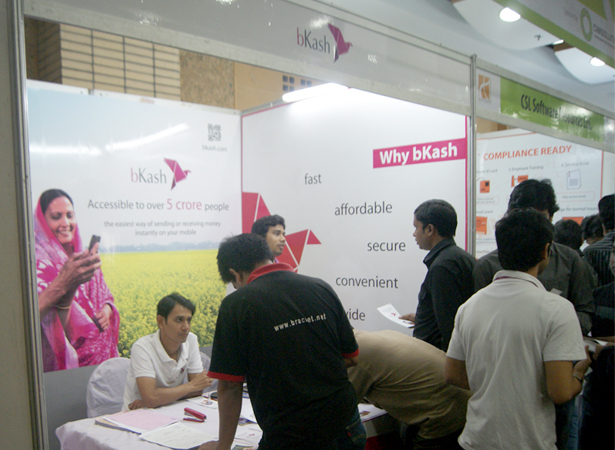 At the bKash booth, stall no. 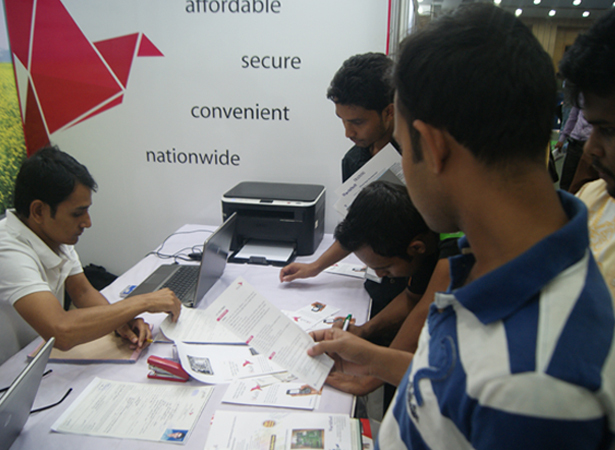 O -10, visitors were keen on opening bKash accounts on their Robi and Grameenphone numbers. 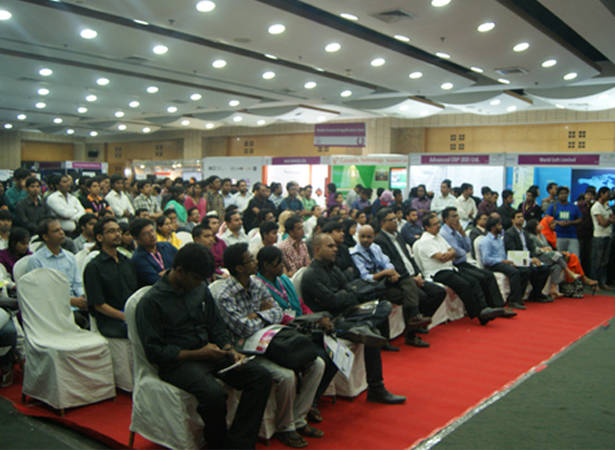 bKash high officials also spoke on different aspects of Mobile Financial Services such as the Future of Mobile Financial Services: Opportunities and Challenges; and its prospect in Bangladesh at different sessions in the Idea and Innovation Platform at the fair.